Dog and child friendly coffee shop in Luss. Water bowl and treats for the dugs! A modest little cafe located on the town’s Main Street. Dogs are welcome in the cafe at the tables at the front of the cafe, away from the counter area. The game sausage daily special was very enjoyable as was the all day breakfast. This is an absolutely superb little eatery in a lovely setting that is also very dog friendly. High quality cuisine – seafood dishes are a speciality. The staff can cater for diners in a hurry, for example, if you have a ferry to catch – simply call ahead and place your order and they will have it ready for your arrival – great service! Cash payments only – no cards accepted. 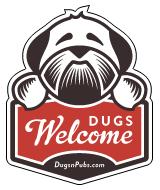 There are a total of 14 dog friendly listings in the Argyll Cafes category. Please log in, or sign up as a member to view all listings.